I suppose I’ll start by referring to a random movie I’m not sure anyone knows. The movie is called Nim’s Island and, while certainly not a major cinematic success, it has a good illustration I want to talk about. Essentially, it’s the story of this little girl who lives on an island with her father with several animal friends and goes through a tough adventure after a storm sweeps her father’s boat off course and away from her. 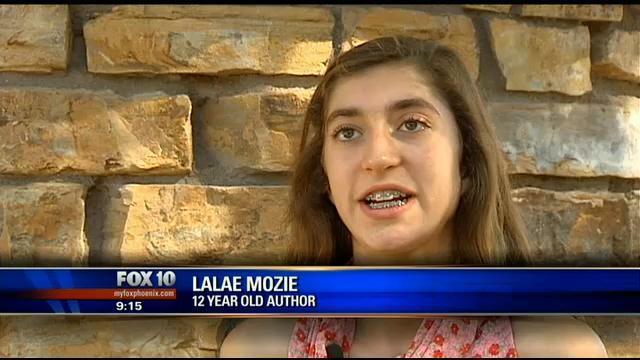 In the process, the author of a popular adventure series, Alex Rover, contacts her. Nim thinks the actual adventurer has come to save her rather than the writer, Alexandra Rover. The parts that cause me to remember the movie most are the ones with the author. See, she, like me, talks to her characters. Alex Rover comes to life before her, comically watching over the writer who suffer agoraphobia and won’t even leave her house while writing his adventures. And through her character, Alexandra is eventually able to push herself to her limits and go try to help Nim. Now, I have related strongly to Alexandra in the past in understanding what it’s like to have such a strong connection with a written character as to feel almost like they’re real. However, what happened tonight left me dumbstruck; because the one experience Alexandra has that I haven’t finally happened. A character finally said goodbye. I suppose this is a spoiler. So I’ll just go ahead and warn anyone who wants to see the movie. As I said, it’s not a fantastic film and I don’t really recommend it other than to understand what I’m talking about. But if you want to keep reading go ahead. Just know you’ll hear a part of the end of the movie. Alex: You cannot be alone for the rest of your life, Alexandra! Alexandra: I’m not alone. I have you. Alex: No, you don’t. No, you don’t have me anymore. I’m sorry, but I’m not gonna be your crutch anymore. Alexandra: What? Yeah, yeah, yeah, yeah. Okay. Okay, look. You-We just need to figure this thing out, so you give me some ideas now. Come on! Alex: I’m sorry, love. It’s over. Alexandra: What? What are you talking about? Alex: Alexandra, I quit. No more adventures. You’re on your own. Alexandra: You-You-You can’t quit. I created you, and you have to do what I say, not-not the opposite. Alex: Good-bye, old friend. Good luck. Alexandra: But wa-Wait! Wait! Come back! At the end of the movie, Alexandra begins to realize that Alex served his purpose, but that his time is done, and now it’s time to move on to new stories of her own rather than relying solely on a character. And I suppose I in my own way have done that. Throughout college, I’ve struggled heavily with my identity. I guess it’s always been one of those questions that I’ve been confused by the most, trying to understand who I am and what’s most important to me. And I feel like moving to college and being able to form my own opinions, values, and strengths has been helpful to me. Freshmen year I created a character who almost completely lacked an identity at the beginning of his story. He had been cursed to look like someone else, he didn’t remember his past, he was an orphan without any real friends. And by the end of the book he figures out who he is, can look in a mirror and appreciate and love what’s there. It was a book of self-acceptance and self-discovery. Two things I needed very much. The problem is that while still trying to figure out who I am, I’ve sometimes clung a little too heavily to my character. Even finished with his book I’ve often written countless other extras enjoyed still having him to lean on to feel confident, or to express other things I can’t in real life. And it had gone too far. I’d come to a point of wanting to live entirely through his life, not even allowing myself to focus on other writing or even continue working on making progress with my self-worth. And tonight as I sat in the amphitheater the same way I had the last three years getting ready to start the school year, he spoke much the same way Alex Rover did to his writer. We’d been listening to a speech from campus pastors about this year’s theme…about how life may have folded you one way, but God is folding you in another. And I suppose the topic just made me very reflective, looking down at the tiny fortune-teller folded in my hand and wondering what I was going to be folded like and recognizing that I had already taken a different shape than my first year entering my school sitting in that very same place. And I related to the pastor when he said life had sometimes folded you very hard, or sometimes even crumpled you up. My character had been silent for a bit, but I could just tell whatever he wanted to say was more important than usual as he chose that moment to speak up. And sure enough, it was. “Done with the story I’m working on?” I had asked curiously. And then it was over, and I knew, it was done. Maybe, he’ll be back someday. But for now, his part in my life is over. He achieved his goal, and now I must move on to others to tell their stories and work on my own at the same time. Because I think that is the beautiful thing about writing. In putting our problems down on the page, we find ways to cope with them. And what I was dealing with while writing this book is not the same thing I need help with now. Life is full of shifts and changes, and writing moves with it like a fluid always conforming to the shapes around it. Writers often have complete changes by the end of their careers from where they’ve started. Some become more successful, others less. But still their writing moves with them, is there when they need it, perhaps holds them back at others. And eventually they’ll have to let go if they ever want to move forward. 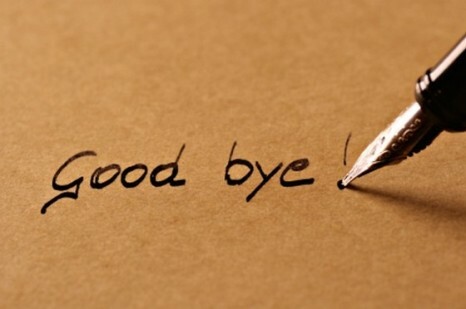 So, sometimes writers must bid characters adieu and start a new chapter in their lives. We outgrow our creations after awhile, even if they still hold a special place in our hearts and always will. To anyone who thinks I sound like a crazy person, maybe I am. But I think we’re all a little crazy in our own way, and if this is my way of dealing with the world, then so be it. We each find our own paths to handle what we are given. To my dear sweet Nalin who I came to love so much. Thank you for allowing me to express my desires and wishes, to live without shame. Thank you for making things clear to me that I’d never seen before. Thanks for always being a shoulder to cry on- or rather lending your own tears to make me feel better. Thank you for always listening, always caring. I appreciate your newfound confidence that you taught me to have as well. I am so grateful to look in a mirror now and smile and remember you taught me that that I find my own worth often with the help of others around me, but still it comes down to me in the end. Wherever you go next, I wish you well, and hope maybe someday you’ll come back. Sometimes it’s nice to have a bit of advice along the way. For a writer hearing some words of wisdom from those higher along in the journey is often an enlightening experience. It is handy to know what the best things to do as a writer are, what helped them on their road to success. This buzzfeed article has several pieces of advice from famous authors. Enjoy seeing what they have to say. You’ll see a few repeats in ideas of course, but there is quite a lot to gain from this. Enjoy! And feel free to comment with your favorite. My favorite is number sixteen “Your story is not done until you have told it to someone you would not trust with your life.” It reminds me that as an author I have to put myself out there, be brave, and in doing so share with those who I normally would not trust. There is some risk involved in writing, but there are good things as well. And that’s definitely something I need to remind myself of as I write. What pieces inspire you most? What advice do you need to follow more? Let me know which one you like most and enjoy! Writing is not a Career? Many people have assumptions about what it means to be a writer. There is the idea that writing, while a fun hobby, is certainly not material for a real career. I was reading a section of a book for writing class and was struck by the beauty of what the writer had to say. The book is called Walking on Water by Madeleine L’Engle. She writes on the subject of faith and art, particularly in the form of writing. In a chapter about labels that are put on writers, she discussed the various assumptions people make about writers. “A successful businesswoman had the temerity to ask me about my royalties, just at last when my books were making reasonable earnings. When told, she was duly impressed and remarked, ‘And to think, most people would have had to work so hard for that.’ I choked on my tea not wanting to laugh in her face. “A young friend of mine was asked what she did, and when she replied that she was a poet, the inquirer responded, amused, ‘Oh, I didn’t mean your hobby.’” (L’Engle 123). I found this section fascinating, and yet, I also recognized the truth in what L’Engle had written. Many are ignored for their writing, told that it’s not a real job. It’s a sad world we live in where people can’t recognize the work that goes into the written craft. In seventh grade we had a career day and the counselor was talking to the students about what they wanted to do in their future. After a brief introduction she asked around the room to see who already had a career idea. I was amongst a small group of people to raise their hands. She went around, calling on each and getting a list of different options. Sports trainer. Interior designer. Politician. And then it came to me and I smiled proudly before pronouncing “writer”. The counselor had enthusiastically supported all of the other children. But when it came my turn she looked at me before calling on the next child. I was embarrassed, humiliated. It was the first time I had ever realized that the adult world did not accept certain answers as “careers” even if that was what they were. My job choice was impractical and silly and wouldn’t get me anywhere in life. I panicked, fought desperately to find another job that was more practical and less likely to get me weird looks or annoying comments. I felt satisfied when I found one (teacher) but of course was never nearly as content with the choice. The world we live in is harsh on writers. Though it is not a “practical” career choice it still involves work and dedication. I appreciated seeing how another writer had experienced similar hostility towards her craft. 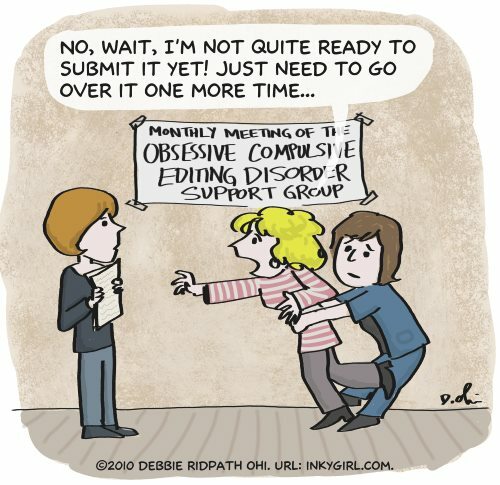 What have you experienced as a response to being a writer? If you don’t write, what’s your opinion on whether or not writing takes work? L’Engle, Madeleine. 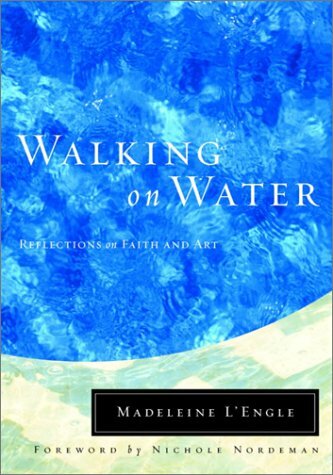 Walking on Water: Reflections on Faith & Art. Wheaton, Ill: H. Shaw, 1980. Print.